The Best Healthcare blogs from thousands of top Healthcare blogs in our index using search and social metrics. Data will be refreshed once a week. Also check out Healthcare Podcasts. 2.67 Health Populi | Blog Covering the Healthcare Ecosystem and People. Healthcare newsletter is a comprehensive summary of the day's most important blog posts and news articles from the best Healthcare websites on the web, and delivered to your email inbox each morning. To subscribe, simply provide us with your email address. About Blog Modern Healthcare is the industry’s most trusted, credible and relied-upon news source. Modern Healthcare examines the most pressing healthcare issues and provides executives with the information they need to make the most informed business decisions and lead their organizations to success. It’s for this reason Modern Healthcare is deemed a “must-read publication” by the who’s who in healthcare. Facebook fans 9,832. Twitter followers 106,603. Cleveland, Ohio About Blog Explore architecture & interior designs for healthcare facilities including hospitals, clinics, medical laboratories and more in the healthcare Industry. Facebook fans 3,353. Twitter followers 17,460. United States About Blog Healthcare IT News is the industrys authoritative source covering the people, policy & technology driving next-generation healthcare in the U.S.
Facebook fans 24,363. Twitter followers 110,343. About Blog TEDMED is a global community dedicated to unlocking imagination in service of health and medicine. Facebook fans 89,976. Twitter followers 121,221. San Francisco, California About Blog Interested in the intersection of healthcare, technology and business? You've come to the right place. The Health Care Blog is the leading online forum covering the business of healthcare and the new ideas that are changing the health care industry. Facebook fans 9,707. Twitter followers 36,291. New York About Blog Healthcare Informatics is a CIO-level publication specializing in issues of system selection, project management, enterprise integration, change management and budgeting. Facebook fans 4,215. Twitter followers 17,481. Washington, D.C. About Blog The Department of Health and Human Services (HHS) is the United States governments principal agency for protecting the health of all Americans and providing essential human services, especially for those who are least able to help themselves. Facebook fans 222,380. Twitter followers 750,169. About Blog The Health Insurance Marketplace is a way for you to find and buy health insurance, with less hassle. Facebook fans 524,054. Twitter followers 286,479. MedCity, USA About Blog Tracking what's next in medical innovation from hospitals, payers, medtech, pharma, digital & beyond. Facebook fans 4,193. Twitter followers 30,563. Facebook fans n/a. Twitter followers 4,152. New Delhi, India About Blog It is a platform for medical professionals and other people associated with healthcare sector, or pharma sector in India, to get latest medical news. Facebook fans 21,515. Twitter followers 932. Atlanta, GA About Blog HIT Consultant Media is an award winning healthcare technology focused digital media platform providing insightful coverage of healthcare innovation. Facebook fans 704. Twitter followers 19,646. About Blog Healthcare IT Analytics News on Healthcare BI, Population Health and Data Managment. Facebook fans n/a. Twitter followers 3,892. Irvine, CA About Blog Follow Healthcare Marketing Experts discuss trending topics in the medical practice and hospital industry. Facebook fans 1,863. Twitter followers 4,812. Facebook fans 1,567,886. Twitter followers 4,365. Washington, DC About Blog Healthwatch delivers a continuous roundup of the latest healthcare news, policy debates and regulatory matters from Capitol Hill. Healthwatch is also a good source for breaking news about Big Pharma and other healthcare industries as well as trends and evolving policies across the country. Facebook fans 1,366,141. Twitter followers 3,135,844. Washington, D.C. About Blog This Atlantic magazine blog features counterintuitive research findings, emerging public problems, questionable practices and articles that explore medicine from historical, anthropological and sociological perspectives. It's easy to linger here, reading stories about accidental medical breakthroughs and evolving medical theories. Facebook fans 2,355,063. Twitter followers 1,711,794. Facebook fans 827,674. Twitter followers 1,109,042. Chicago About Blog Northwestern University's Global Health Portal. Keeps you informed on GH initiatives, programs, news and events at NU and around the globe. Facebook fans n/a. Twitter followers 733. United States About Blog Stay ahead of the curve on key health care trends and hot topics with the Deloitte Center for Health Solutions blog. Facebook fans 92,347. Twitter followers 72,243. Franklin, TN About Blog Smarter business decisions. A better bottom line. Stronger relationships with patients. Start your #healthIT journey with us today! Chicago, Ill. About Blog Becker's Hospital Review offers up-to-date business and legal news as well as analysis relating to hospitals. Our content is geared toward high-level hospital leaders; we work to provide valuable content, including hospital and health system news, best practices and legal guidance specifically for these decision makers. Facebook fans 4,954. Twitter followers 43,732. About Blog HealthTech Magazine explores technology and healthcare issues relevant to IT leaders and managers at healthcare organizations evaluating and implementing technology solutions. Facebook fans 117,563. Twitter followers 15,663. Menlo Park, CA | Washington DC About Blog The Kaiser Family Foundation website provides in-depth information on key health policy issues including Medicaid, Medicare, health reform, global health, HIV/AIDS, health insurance, the uninsured and much more. Facebook fans 30,631. Twitter followers 96,182. Washington, D.C. About Blog A nonprofit news service committed to in-depth coverage of health care policy & politics. KHN is an editorially independent program of the Kaiser Family Foundation. Facebook fans 32,950. Twitter followers 165,754. Washington, DC About Blog The Latest on Health Information Technology from ONC. Health IT Buzzblog is a forum for healthcare providers and industry professionals was created by the Office of the National Coordinator for Health Information Technology (ONC) to discuss the transition from paper to electronic health records. Facebook fans n/a. Twitter followers 90,386. Bangalore About Blog Manipal Hospital Blog is providing highly standardized effective health information articles. View the latest health news and explore articles on Ear infections, Cancer care, Bone fractures, Spinal Stenosis, Autism etc. Facebook fans 463,948. Twitter followers 11,024. Louisville, KY About Blog News and notes from across the post-acute spectrum. Ranked one of Fortune’s Most Admired Healthcare Companies, Kindred Healthcare operates transitional care hospitals, nursing centers and rehabilitation services. Facebook fans 59,526. Twitter followers 5,469. About Blog The Doctor Weighs In features articles about Innovations in Healthcare. Facebook fans 130,281. Twitter followers 29,370. Vermont and New York State About Blog HealthSource is the official blog for the University of Vermont Medical Center. View local events and read articles from experts discussing current topics in health care. Facebook fans 23,008. Twitter followers 488. Noida About Blog Our mission is to provide the same quality of healthcare to everyone that we wish for our loved ones. Jiyo India is committed towards the well being of the community and aspires to demonstrate a new approach of healthcare for everyone. Facebook fans 18,680. Twitter followers 448. London, UK About Blog GP has been an essential part of surgery life for UK. It has its unique blend of campaigning news coverage, practical clinical and business advice, expert opinion and career opportunities. Follow us to keep up with daily news, exclusive blogs, jobs and hundreds of education articles. Facebook fans 1,095. Twitter followers 20,419. Coimbatore, India About Blog ICliniq is a second opinion platform, where one can consult doctors online. You can get your health issues solved from wherever you are. Facebook fans 181,690. Twitter followers 7,283. Washington, DC About Blog Healthcare Dive provides news, trends, jobs and resources for health industry professionals. We cover topics like healthcare IT, hospital administration, polcy & regulation, practice management, health law, insurance, and more. Facebook fans 2,041. Twitter followers 11,435. Ann Arbor, MI, USA About Blog Read Isabel's blog on everything healthcare, with regular updates on our differential diagnosis tool and discussions about the healthcare industry. Facebook fans 463. Twitter followers 874. Somerset, NJ About Blog MTBC is a healthcare information technology solution provider that offers physician practices a comprehensive product portfolio of fully integrated WebEHR, revenue cycle and practice management solutions and other related business services including transcription and data management. Facebook fans 4,431. Twitter followers 1,640. Gaithersburg, MD About Blog Adventist HealthCare, an integrated, health-care delivery organization based in Gaithersburg, Maryland, is one of the largest employers in its state. The Adventist HealthCare family of services includes Shady Grove Medical Center, Washington Adventist Hospital, Behavioral Health & Wellness Services, Physical Health & Rehabilitation, Home Care Services and The Lourie Center for Children’s Social. Facebook fans 4,503. Twitter followers 27,375. Belgium About Blog Agfa HealthCare is a leading global provider of diagnostic imaging and healthcare IT solutions. The company has over a century of healthcare experience and has been a provider of healthcare IT solutions since the early 1990′s. Facebook fans 3,568. Twitter followers 3,784. Springfield, VA About Blog Welcome to the Spokwise blog, where we share smart content on healthcare communication and collaboration to keep your wheels turning. Facebook fans 9,660. Twitter followers 10,804. About Blog Healthcare IT News and Opinion. HIStalk has been bringing the healthcare IT industry together since 2003 with reader-contributed material such as interviews, guest articles, news and rumor reports, and Advisory Panel participation. Facebook fans n/a. Twitter followers 14,174. Canada About Blog Unbiased facts and informed opinions about Canada's health care system. Facebook fans 2,436. Twitter followers 12,277. Facebook fans 982. Twitter followers 3,864. Chicago, IL About Blog Home Health Care News is an independent source for breaking news and up-to-date information on the senior in-home care industry. Facebook fans n/a. Twitter followers 2,334. Facebook fans 26,365. Twitter followers 6,477. Fort Lauderdale, FL About Blog Founded in 1995, Weatherby Healthcare has established itself as a leading expert in locum tenens staffing for physicians, physician assistants, and nurse practitioners. The company, which is located in Florida and North Carolina, works with top healthcare providers of all levels and specialties to fill locum tenens assignments in large-scale healthcare networks, hospitals, and clinics nationwide. Facebook fans 2,545. Twitter followers 1,343. Hyderabad, India About Blog The MaxCure Hospitals mission is to offer qualitative and comprehensive clinical services in a patient friendly environment focused on evidence based medicine, safety, excellence, dignity and transparency. Facebook fans 338,327. Twitter followers 5,058. USA About Blog Promote medical practice by latest healthcare marketing ideas, plan and strategies. We are Professional in healthcare marketing for doctors, dentists, hospitals. Facebook fans 1,432. Twitter followers 9,351. Facebook fans 1,339. Twitter followers 3,756. About Blog CuroMe is a platform for the Patients and their relatives to share their vital experiences with particular healthcare centres and professionals. These experiences are of crucial importance to readers who are looking for healthcare service providers. This platform can help Healthcare centres and Professionals in delivering their services in the best possible way. About Blog Day Pitney LLP - Healthcare Law Blog - healthcare law, healthcare law articles, healthcare regulations with offices in Boston, Connecticut, New Jersey, New York, and Washington D.C.
Facebook fans 245. Twitter followers 217. Kirti Nagar, New Delhi About Blog TabletShablet blog is all about Health Care Journal, You get daily information on OTC Products, Personal Care Products, Health Care Products, Health Devices, Facial & Skin Care and more. Facebook fans 11,898. Twitter followers 247. About Blog P3 HealthCare Solutions steps in to combine both value based quality programs and a revenue cycle management that simplifies and translates requirements into practical solutions. Facebook fans 924. Twitter followers 686. Plano, TX About Blog We at HealthViewX are passionate about building a user-centric healthcare ecosystem that aims to improve patient experience, using technology to help create defined workflows and raise the standard of care. Facebook fans 179. Twitter followers 156. Facebook fans 1,732. Twitter followers 4,246. Colorado About Blog MailMyStatements has been offering top of the line managed medical billing and mailing services for years. From statement design, printing & mailing, to collection of payments, we help you every step of the way. Learn more today! Facebook fans 110. Twitter followers 5,352. New Delhi, India About Blog Medical Tourism and Healthcare Blogs from around the world. Ranging from cancer treatment to weight loss surgeries, we strive to cover all the necessary information required to empower a medical traveler. Facebook fans 4,306. Twitter followers 299. Worldwide About Blog Providing procurement & reference resources for professionals & decision makers within the hospital management, healthcare & patient care industries. Facebook fans 167. Twitter followers 323. About Blog Verscend is empowering a sustainable value-based healthcare delivery and payment system for health plans, employers and providers. Facebook fans 2,020. Twitter followers 1,832. Facebook fans 1,349. Twitter followers 217. United States About Blog Denefits patient financing provides healthcare practitioners the ability to refer patients to financing at the point of service. Facebook fans 2,475. Twitter followers 2,626. About Blog Our Australian Hospital & Healthcare Bulletin magazine and website provide busy hospital, health and aged care professionals with an easy-to-use, readily available source of information that is crucial to gaining valuable industry insight. Facebook fans 10,214. Twitter followers 630. Atlanta, Ga. About Blog The Journal of Healthcare Contracting is the only publication that is solely devoted to the contracting arena of healthcare. The participants in the contracting arena will grow to rely on The Journal of Healthcare Contracting for industry understanding, insight into the minds of thought leaders and collaboration opportunities amongst contracting constituents. Facebook fans n/a. Twitter followers 1,894. About Blog Scrubbing In is a blog where hands-on health care discussions are happening every day with the people whose own hands are on the front lines of patient care, the doctors, nurses and medical staff who are saving lives and advancing medicine. Facebook fans 50,867. Twitter followers 4,616. About Blog Since 1977, Healthcare Purchasing News has been delivering information to the healthcare professionals in supply chain, O.R and Surgical services, Infection Prevention, Sterile Processing and Facilities management. Facebook fans 764. Twitter followers 898. 67. Health Populi | Blog Covering the Healthcare Ecosystem and People. Philadelphia About Blog Health Populi was founded by Jane Sarasohn-Kahn of THINK-Health to dive into a key health issue of the day for health citizens. Facebook fans n/a. Twitter followers 647. Manchester About Blog NHE is the essential guide to health service management. Our mission is to keep health service managers up to date with all of the latest innovations and medical advances whilst reporting on the very latest healthcare news. Facebook fans 342. Twitter followers 14,579. Facebook fans 1,256. Twitter followers 309. Australia About Blog HealthcareLink is Australia's number one online platform that helps match jobseekers to employers in the healthcare and medical field. Facebook fans 7,001. Twitter followers 288. San Rafael, CA About Blog HC&O News provides valuable business news to the health care facility market. Facebook fans n/a. Twitter followers 1,645. Reno, Nevada About Blog Renown Health is the largest not-for-profit health network in northern Nevada. Follow us for community news and tips to improve your #health and well-being. Keep up to date with the best medicine news from Renown Health, including the latest news on lifestyle, heart health, cancer care, & children's health. Facebook fans 22,383. Twitter followers 4,642. About Blog Health Care For All is a consumer advocacy organization committed to achieving a quality, affordable health care system for all of Massachusetts. Facebook fans 4,157. Twitter followers 13,262. About Blog Break Dengue aims to connect different initiatives around the world that are addressing the issue of dengue, the most rapidly spreading mosquito-borne viral disease. Facebook fans 235,171. Twitter followers 4,113. About Blog iPatientCare provides EHR software, Practice Management & Medical Billing Software, Revenue Cycle Management & lot more! Want to expand your medical! Facebook fans 1,857. Twitter followers 10,502. About Blog A revolutionary new way of managing incontinence!! Learn more about incontinence condition and its cure here. Facebook fans 2,931. Twitter followers 491. About Blog #HCLDR was created by Colin Hung and Lisa Fields in 2012. HCLDR is a strong and vibrant online community of people who all share a passion for improving healthcare. Our community includes patients, physicians, nurses, CEOs, IT folks, caregivers, policy makers and students from countries such as Canada, USA, Philippines, Ireland, Australia, New Zealand, Singapore, UK and South Africa. Facebook fans n/a. Twitter followers 7,276. Boston About Blog Every day I experience life in the world of healthcare IT, supporting 3000 doctors, 18000 faculty, and 3 million patients. In this blog I record my experiences with infrastructure, applications, policies, management, and governance as well as muse on such topics such as reducing our carbon footprint, standardizing data in healthcare, and living life to its fullest. Facebook fans n/a. Twitter followers 18,789. About Blog Read the latest blogs, FAQs, guides, and stories about wholesale medical supplies,products, and equipment from BuyMedical. About Blog Healthcare News is the regions leading health care publication bringing local medical news, trends, and information. United States About Blog LeverageRx is a digital lending and insurance marketplace exclusively for doctors. We make it incredibly simple to compare rates on financial services including student loan refinancing, personal loans, long term disability insurance, life insurance and exclusive mortgage programs for doctors. Facebook fans 396. Twitter followers 1,389. Facebook fans 14,050. Twitter followers 7,763. Boston About Blog Health care business consultant and policy expert David E. Williams shares his views. Facebook fans 141. Twitter followers 10,950. Facebook fans n/a. Twitter followers 1,076. India About Blog HCITExperts was formed with the coming together of the experts in the Healthcare and IT fields to deliver world class services to our clients with the quality in delivery and with the ability in delivering value to our clients. We partner with our clients by offering consulting services to the organizations in the healthcare space comprising of Hospitals, Pharma and life sciences companies. Facebook fans 93. Twitter followers 14,804. Bangalore, India About Blog Healthcare in India blog looks at the emerging trends in healthcare in India. Facebook fans 2,467. Twitter followers 2,909. Facebook fans n/a. Twitter followers 3,057. Facebook fans 553. Twitter followers 2. About Blog RamaOnHealthcare blog features articles about Healthcare insights at your fingertips. Springfield, IL About Blog HealthSoul is a global platform for patients to share their reviews on healthcare providers. HealthSoul provides healthcare education content to patients so that they can play active role in their healthcare. Facebook fans 19,793. Twitter followers 14. Facebook fans 67. Twitter followers 386. Facebook fans n/a. Twitter followers 8,834. Houston, TX About Blog Keep up with articles from Healthcare Market Review. About Blog Your personal Physiotherapist that helps you to relieve pain and improve your daily workout. Facebook fans 4,030. Twitter followers 232. Sydney, Delhi, Ktm About Blog Update Medicine is the leading online publisher of latest health news and medical updates. Update Medicine also delivers articles covering health tips, medicines, fitness, diseases, medical topics, reviews, healthcare, medical education, blogs and many more. Facebook fans 618. Twitter followers 813. Santa Barbara, CA About Blog Christina's Considerations offers writings on professional topics - hospitals, workplace effectiveness, health information technology, telehealth, social media and enhancing the patient's experience. Facebook fans n/a. Twitter followers 3,228. About Blog Health And Care is a media which focused on sharing information about health and nutrition. We are trying to collect data from trusted sources and serving to you by different language but still same in the meaning, give you the information you need. Gurgaon, India About Blog is chain of short stay surgery centres. brand is strongly associated with our mission to deliver high-quality, affordable surgical healthcare services to the broader population by leveraging technology driven workflows, specially curated talented team, and highly efficient clinical processes. Facebook fans 5,645. Twitter followers 49. About Blog We simply aim to share good medical knowledge and connect people of the medical field from all over the world who can share and gain medical knowledge. Facebook fans 32,449. Twitter followers n/a. Overland Park, KS About Blog Focus Integrative Healthcare is a functional medicine practice helping people in the Kansas City area to start feeling well again through our Overland Park location. We help people find the underlying cause of their ailments and address them using the most effective holistic therapies. Facebook fans 646. Twitter followers 14. The Netherlands About Blog The World Healthcare Forum (WHF) is an international platform that connects leaders of today and tomorrow to improve healthcare worldwide. Facebook fans 870. Twitter followers 481. About Blog A blog about health care healthcare information technology IT for payers payors and providers. Facebook fans n/a. Twitter followers 15,205. About Blog Education by Gyan blog provides healthcare solutions, ayurvedic treatment, precaution, remedies and tips for skincare, weight loss and more. About Blog Bob Laszewski's review of the latest developments in federal health policy, health care reform, and marketplace activities in the health care financing business. Plano, TX About Blog Everything you need to power population health management & boost financial performance: population risk models, and predictive & prescriptive health insights. Facebook fans 349. Twitter followers 923. Eden Prairie, MN About Blog A forum for fresh perspectives and discussion - all in the name of health care. Optum is a leading health services and innovation company dedicated to helping make the health system work better for everyone. Facebook fans n/a. Twitter followers 19,037. Bengaluru, India About Blog CareCurious is a healthcare blog and forum, that aims in bringing people and doctors together. Let's add life to our years.A better health,a better society. Facebook fans 829. Twitter followers 1. About Blog FastPass Medicine is your express guide to modern medicine. Subscribe us to join an active, more educated community, in navigating the healthcare landscape. Facebook fans 29. Twitter followers 17. About Blog The World Healthcare Blog offers simple and effective advice on beauty, health, fitness, healthy eating, weight loss, and parenting. Many of the blog posts here are how-to articles or answers to frequently asked questions, but you can also see news posts and personal stories sprinkled into the blog. About Blog ReviewFitHealth's mission is to be your single site for reading reliable reviews and new posts of fitness, fashion, health, business & diverse recipes. subscribe us to get articles about healthcare from ReviewFitHealth. New York About Blog Mission is to bring the voice of everyday New Yorkers to the health reform conversation, and to work to achieve affordable, comprehensive, and high-quality health care for all New Yorkers. Facebook fans 892. Twitter followers 864. Georgia About Blog With the mission to help Childless people in making their family SurrogacyCentreGeorgia is the best and cost effective surrogacy centre in Georgia. Facebook fans 210. Twitter followers 4. About Blog Subscribe us to get articles about health and care. Facebook fans 11. Twitter followers 22. Washington, DC About Blog The Blog is run by the American Public Health Association. The blog has been active since 2006, and it currently sees 1-2 new posts a week. The topics on the blog range greatly, from seasonal health tips to important health policy releases. Primarily, the Blog is designed to prepare people for infectious diseases and help them avoid health issues in the future. Facebook fans n/a. Twitter followers 14,440. About Blog Follow to keep up with trending healthcare stories to understand what's going on in healthcare today. Facebook fans 71. Twitter followers 11. JP Nagar, Bengaluru, India About Blog Avigna, one of the top clinical research institutes in Bangalore, offers online clinical research courses in Clinical Data Management and Pharmacovigilance. Facebook fans 6,054. Twitter followers 29. About Blog Addressing threats to health care's core values, especially those stemming from concentration and abuse of power. Advocating for accountability, integrity, transparency, honesty and ethics in leadership and governance of health care. Facebook fans n/a. Twitter followers 1,721. Chicago About Blog Educational resources and news on patient payment solutions in healthcare. Easy Pay Solutions, was started in 1998 by two former VISA employees with the simple mission of helping providers and healthcare organizations collect payments from patients in a timely and cost effective way. About Blog Welcome to the official Lyapko store! Your health has always been in your hands and we will help you in further enhancing your health with Lyapko products that do not need any extra effort. This special technology brings out the hidden healing powers that your body possesses. US About Blog Brian Klepper, PhD is a health care analyst, advisor and commentator. Care & Cost is a new professional discussion forum. About Blog The Blog for Healthcare professionals. StaffNurse.com are the UK’s number one job website for all nurses, midwives and health workers. Facebook fans 4,513. Twitter followers n/a. Kukatpally, Hyderabad About Blog We believe we have a responsibility towards bringing the finest in medicare to all the people. To earn the trust and confidence of patients in the battle against ill-health. To offer theme a ray of hope in the gloom of illness and disease. Facebook fans 4,937. Twitter followers 8. About Blog The Blog is where you can find musings about the possibilities of patient-led and user-led healthcare by David Gilbert. Facebook fans n/a. Twitter followers 5,381. About Blog Useful healthcare blog & medical blog on medicine, physiotherapy, medical equipment and other matters pertaining to the UK's healthcare industry. Michigan About Blog Rickard & Associates is a Michigan-based law firm serving the Midwest in healthcare law, litigation, and corporate business practice. Facebook fans n/a. Twitter followers 9,350. Panchkula, India About Blog YouCare is an online destination for finding child and parent care in your neighbourhood. We intend to make finding care and jobs for families and caregivers easier and simpler. Facebook fans 827. Twitter followers 45. About Blog Health Care Counsel, Arent Fox health care law blog is an online destination featuring the latest news, trends, and legal developments in the health care space. India About Blog Healthcare Market Research Reports Publishing and Promotional on marketresearchfutures.ga which helps to generate market Promotions and Branding Activities in Market Research Industry to Provide Market Analysis reports,Report forecast, Market statistical data 2018 and future. About Blog Looking for healthy eating tips? Whether you want to know how to detox, go vegan, try a plant-based diet, or adopt a low-carb diet or are just intrigued by what your favorite celebs are eating (and who they're trusting to guide their diet choices), it's all here to devour. Arlington, Virginia About Blog Health Care Blog. Facebook fans 10,128. Twitter followers 18,699. 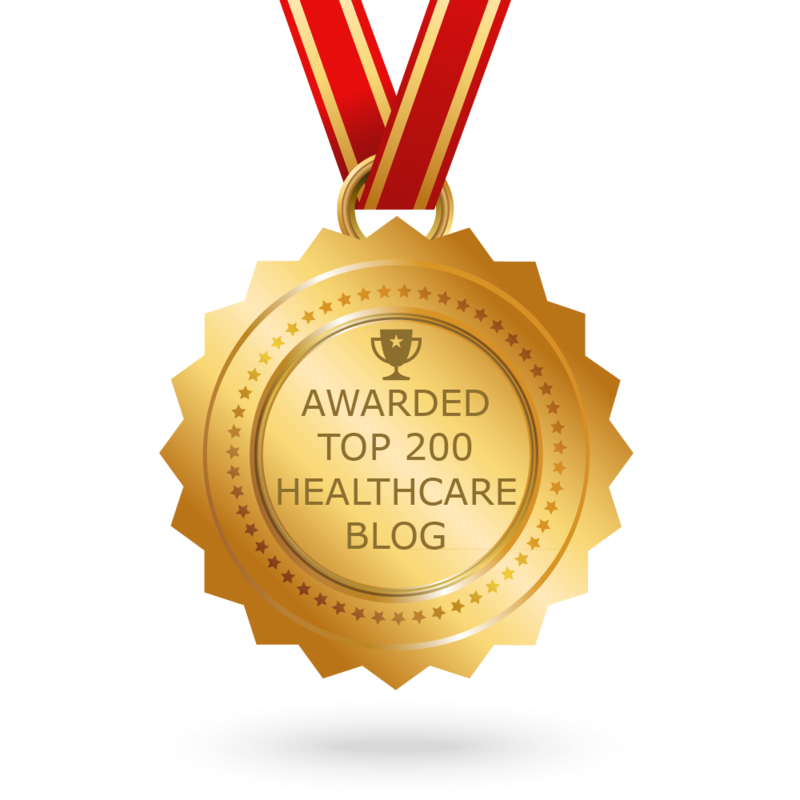 CONGRATULATIONS to every blogger that has made this Top Healthcare blogs list! This is the most comprehensive list of best Healthcare blogs on the internet and I’m honoured to have you as part of this! I personally give you a high-five and want to thank you for your contribution to this world.